He said the Remedium Chambers “is the private law firm, which Pedro used fraudulently to hijack the briefs of other lawyers while he was in the employment of the Lagos State Government. He alleged that Pedro used his private law firm to hijack the negotiation of Suit No: LD/4897/2014 between Beach Resorts and the Eletu family. As a result, the Eletu family deprived the law firm of Afe Babalola of its professional fees of $10 million. The senior advocate provided insight into the genesis, explaining how the Eletu family approached his law firm through a lawyer, Mr. Ademola Koko in 2005, asking him to appeal against the decision of a Court of Appeal involving 254 hectares of land. After he agreed to handle the appeal at the Supreme Court, Babalola asked the Eletu family for a professional fee of $20 million, which he said, was reduced to $10 million after the family pleaded. But when asked to pay part of the professional fees, the senior advocate noted that the Eletu family offered “to give him land to cover the payment,” which he said, was rejected in favour of a cash payment of fees. Upon agreement, the senior advocate requested an agreement on his professional fees to be in writing and that the agreement should be executed before a magistrate, which the family complied with as proof of good faith. He added that his law firm prosecuted the appeal for eight years before the Supreme Court delivered judgment on July 12, 2013 and awarded 216.7 hectares of land in favour of the Eletu family. He said the attempt by his law firm to pursue the execution of the Supreme Court judgment stoked diverse litigations and protests, which perhaps compelled the Lagos State Government to intervene in the dispute. 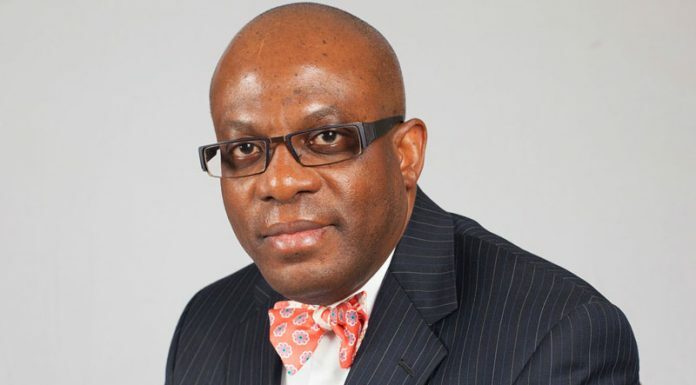 The senior advocate alleged that all the suits filed after the judgment of the Supreme Court were fraudulently settled without his knowledge, and cited the suits filed by Wole Olanipekun & Co on behalf of Lekki Silver Touch Limited; Dele Farotimi & Co. on behalf of Sun City Properties Limited; Olalekan Yusuf on behalf of UACN Properties Development Company and Joseph Nwobike & Co. on behalf of Beach Resorts Nigeria Plc. He noted that the suits, which arose from the decision of the Supreme Court secured by his law firm for the Eletu family were settled without his knowledge and with the involvement of Pedro, who allegedly used his private firm.